Approaching the crux of the matter in Valemount, B.C. 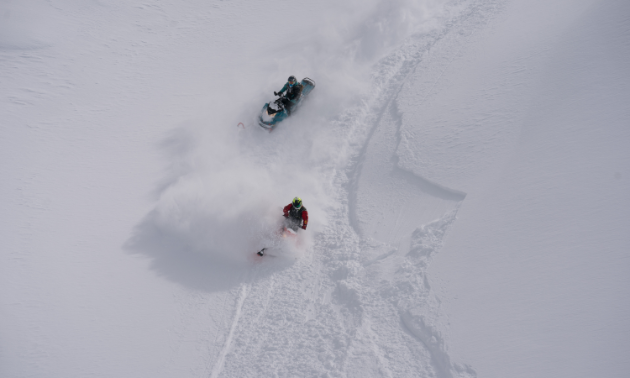 Best day ever: Reminiscing powdered memories in Valemount, B.C. 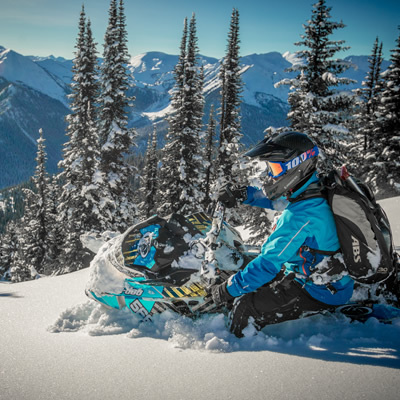 In order to have the best day ever while sledding in Valemount, you’ll want to head to the vast expanse of Allan Creek. Be sure to travel with someone who knows the area—like Marshall Dempster, avalanche educator and guide for Frozen Pirate Snow Services. 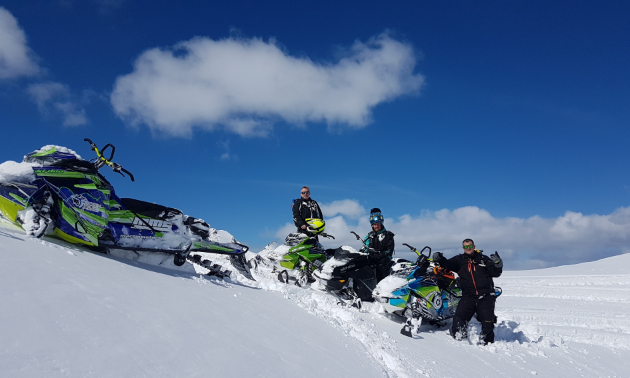 Dempster encountered his best sledding day ever last April while escorting a group of Edmonton snowmobile salesmen for a group outing through the Valemount region. The Frozen Pirate duo and their riding companions from Edmonton made their way to Allan Creek, an immense riding zone. Although it is popular, not many folks end up venturing into the far back regions, which is exactly where Dempster and his crew were headed. The optimism of a bluebird day faded to uncertainty as the ensemble unpacked at the staging area. Due to a caribou corridor that runs through the valley bottom, the crux point is a necessary evil for sledders to trek through if they want to experience all that Allan Creek has to offer. “The easy way is to go around through the trees, but that way is not open to snowmobilers,” said Dempster. “You have to go through the alpine. Once the squad had enough visibility to see the top, they carefully made their way up the incline one at a time as a cohesive team. Awaiting Dempster and his crew on the other side of the crux point were flowing meadows mixed in with enchanting tree riding. When it comes to fuel usage, Dempster lives by the rule of thirds: spend a third getting out to where you're riding, a third riding it and a third getting home. It’s a wise formula to use, although it can be altered in extreme circumstances. Dempster noted that the group had a contingency of extra fuel—just in case. Remarkable conditions are one thing, playing in the snow with a group of guys acting like kids is fun on a whole ’nother level. 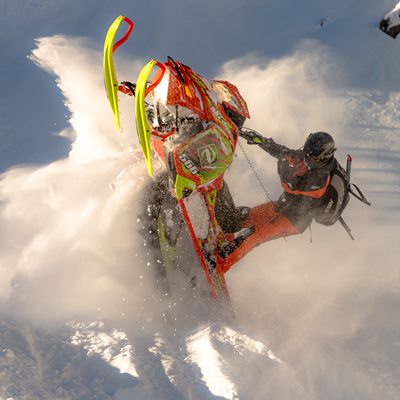 Valemount, BC Trip planner: What you need to know before snowmobiling in Valemount, B.C. 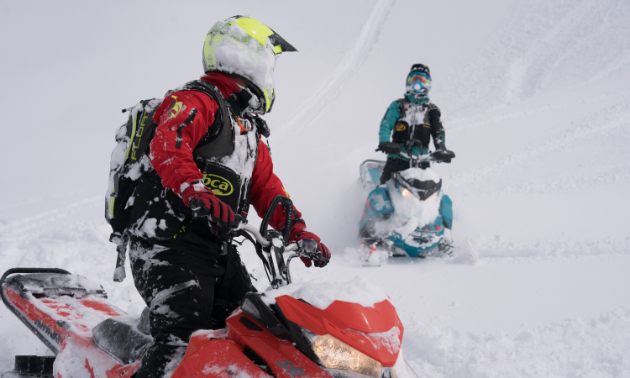 Trail maps, top snowmobile trails, club contacts and other useful information you can use before planning a snowmobile trip to Valemount, B.C. 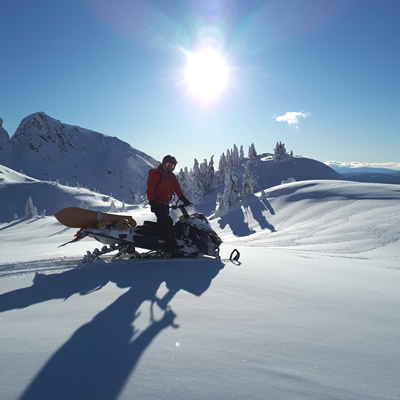 President of the Powder Packers, Albert Venor, shares how to have the best day ever snowmobiling in Blue River, B.C. Camera-wielding Danny Roberts puts the Valemount shred scene in sharp focus.